A rocking chair from the Arts and Crafts or Mission Oak period about 1905 has been newly revarnished with a deep rich finish. 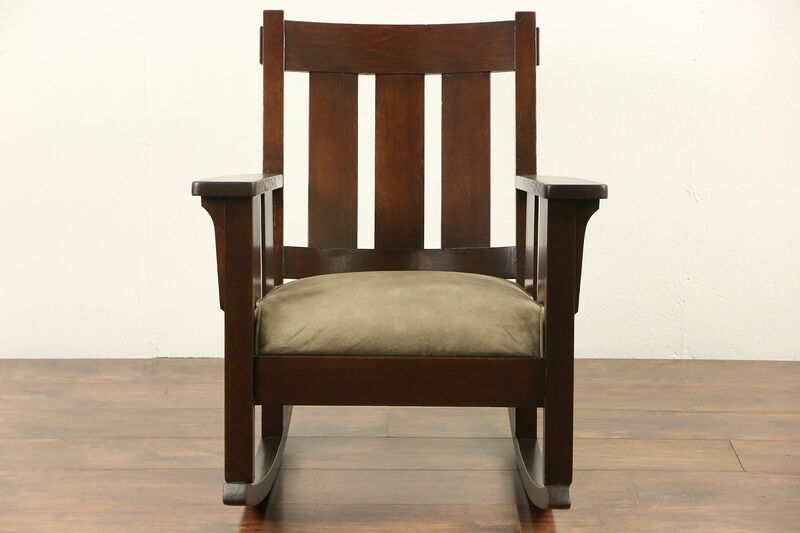 Reglued to serve another generation, the solid quarter sawn oak rocker frame is tight and strong. The cushion is recently reupholstered on this American made antique Craftsman furniture. Size is 28 1/2" wide, 33" deep, 34" tall and the seat is 17" high. See 11 photos on Harp Gallery website that enlarge to full screen size.